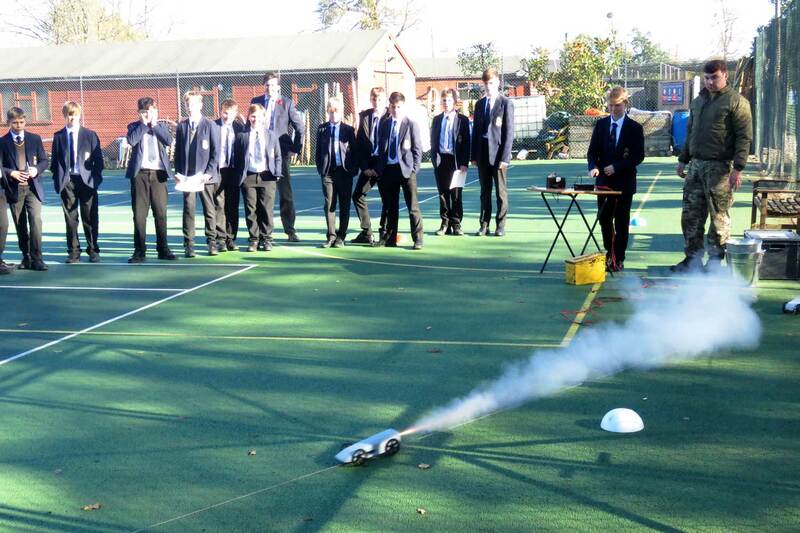 A member of the BASE (British Army Supporting Education) STEM team was at Blue Coat in early November, working with some of our Year 8 and Year 9 scientist on designing rocket cars. The BASE representative first gave a presentation on the Bloodhound Supersonic Car, then divided the boys into teams to design their own rocket cars (made of foam). The group then took their cars out onto the tennis courts where each car had a rocket placed in the back – and was fired and timed. The car designed by Team 2 (fired by George), proved to be the fastest – reaching a speed of 49 mph. Team 1 had the best flag. All the teams had an exciting day.